When you blush you give voice to your feelings. 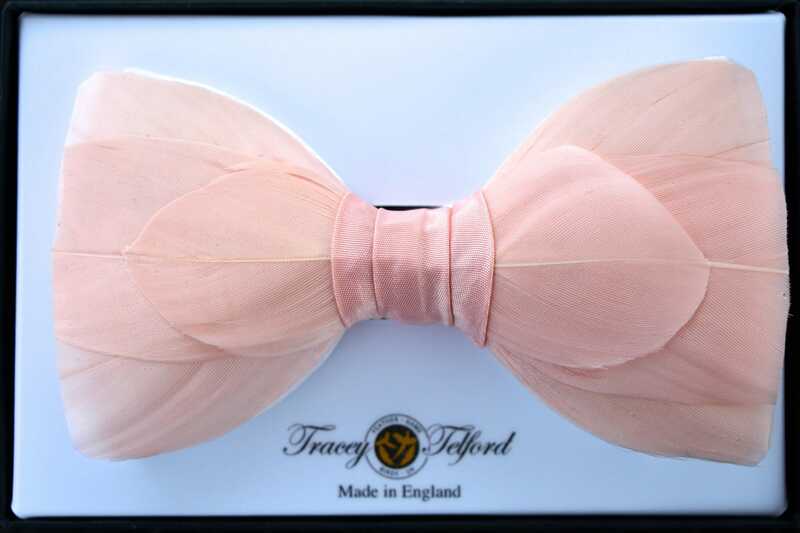 Your joy, and racing heart, lights your face, and this Blush natural feather bow tie, by plumassier artist Tracey Telford, conveys the same subtle beauty. It will always say something special. 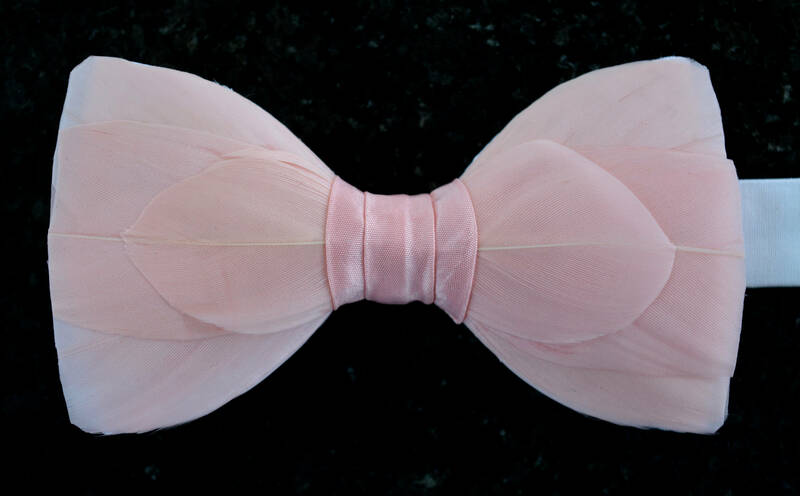 Made with genuine natural goose feathers, set on a quality 100% white silk double bow tie and finished with a triple centre fabric ring on pale pink taffeta silk, the Blush design conveys elements of joy, hope, unconditional love and faithfulness. Being individually hand made, it can also be made available on quality satin, and a range of alternative base colours can be selected, to align with your preferred design aesthetic. Exactly like the picture. Can’t wait to wear it at the wedding! Thank you. Great quality product and quick responses from the maker. She cares about her product and customer. Matched my fiancée's gown perfectly. Drew a number of compliments. Perfect for the wedding.